Every week we are asked about our gold pendants. Mostly people ask if the gold is real. There are a lot of gold coated, plated, dipped options on the market – none are quite the same as real, solid, 9 carat gold sourced here in Australia. One of the reasons we are asked about whether our gold is real is because our prices are very low compared to all of our competitors. If you shop around, you will be hard pressed to find gold any cheaper. There are a few reasons for this – firstly, we are an Australian company. 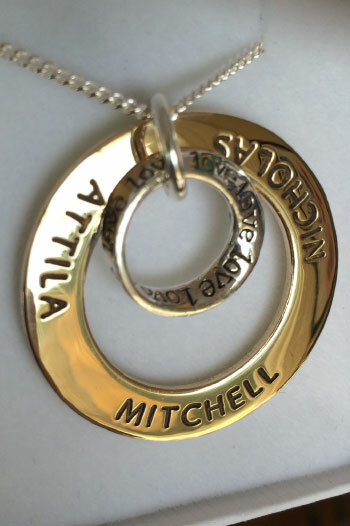 We do all our work here in Melbourne and don’t have people working elsewhere in the world producing our stamped jewellery. Secondly, we don’t have a shop front, we only sell online so we don’t have to cover the costs associated with having a store. And thirdly, we chose not to put ridiculous markup’s on our jewellery. We keep our prices reasonable without compromising any aspect of quality. We hope you enjoy our gold as much as we enjoy making it! Finally we have beautiful gold chains!